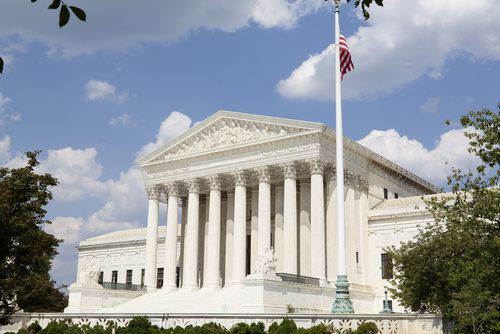 The U.S. Supreme Court will vote today on the constitutionality of the individual insurance mandate in the Patient Protection and Affordable Care Act (PPACA)—but the outcome will not likely be made public until later this year. The Court wrapped up a week of hearings on the mandate, which requires individuals to buy health insurance or pay a penalty, and on other aspects of the PPACA that have been challenged on constitutional grounds. The hearings, which received around-the-clock coverage in the media, seemed to indicate that the nine justices—five conservatives and four liberals—would split along ideological lines. But as the Washington Post reports today, sometimes the tone of hearings can be misleading in terms of predicting the ultimate decision. The Post reports that the Court's decision will likely be made public in June. For information about legal challenges to the PPACA see Psychiatric News here. Also, American Psychiatric Publishing has published “Health Care Reform: A Primer for Psychiatrists,” see information about it here.